The term ‘horse pasture’ can mean a lot of different things to different people. We categorize ‘horse pasture’ into two categories: exercise lots and standing equine forage. An ‘exercise lot’ is a fenced area with more horses than grass, typically more than 1 horse per acre. ‘Standing equine forage’ is a fenced area with more grass than horses, typically less than 1 horse per acre. These terms say very little about the quality or productivity of the grass in the pasture, but accurately describe its primary function on that particular horse farm. The function of ‘grass’ in an exercise lot is, if possible, to look green and cover-up the mud despite constant hoof traffic and nibbling. 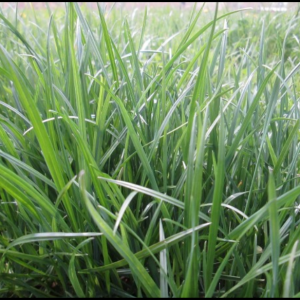 Grass species that may be able to tolerate life in a horse exercise lot include: Kentucky bluegrass, tall fescue (especially turf-type), meadow fescue, festulolium and perennial ryegrass. 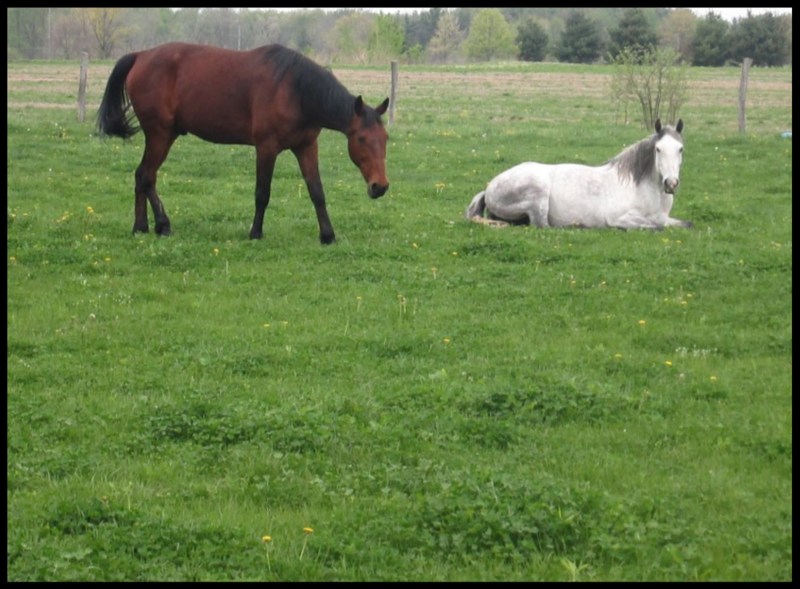 The functions of grass in a ‘standing equine forage’ area are to provide safe, nutritious forage while tolerating periodic traffic and areas of tight grazing. In addition to the species that tolerate ‘exercise lots”, timothy and orchardgrass can be used these type of pastures. 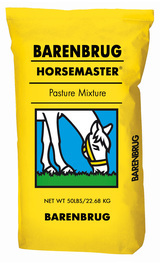 Both Barenbrug Horsemaster and FSM Brand HQ-F are mixtures well suited to either application. 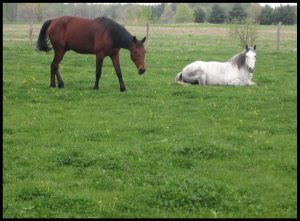 While many of the same species can be used in both types of horse pasture, the expectations for productivity and longevity should be quite different. Both the cutting action of the hooves, especially with shoes, and the propensity of horses to graze practically to the dirt, force the grass plant to try to survive with minimal energy stores in the lower part of its stem in an exercise lot and to a lesser degree in constantly overgrazed or heavy traffic areas within standing forage. Minimal reserves translate to minimal productivity and susceptibility to stand-loss during periods of additional stress. Improved drainage, fertilization, and/or irrigation may be necessary to keep ‘exercise lots’ green and looking good. Where stocking rates are lower and plants have the ability to store greater reserves and maintain greater leaf area, any of the species mentioned will contribute to safe, nutritious equine pasture and should be expected to survive for many years. Therefore, when selecting and preparing an area to establish a horse pasture, attention should be given to drainage and soil fertility as well as the nature of horses. Horses generally like to run, so if possible, paddocks should be designed with adequate length for exercising. They also tend to over-eat some areas of a pasture while leaving other areas almost untouched. Rotating animals through a series of paddocks at a rate that gives several weeks rest between each grazing helps reduce stress on the pasture; however, clipping or mixed grazing with sheep or cattle may be necessary to keep pastures vegetative and looking good. 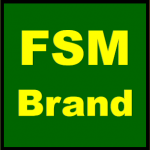 Contact your local FSM dealer to discuss the best seed, fencing, plant nutrition and management options to establish and keep great looking, productive pasture for your horses!